None of us has the foggiest idea what we’re doing here. People, as we know them, have only existed for a drop in the bucket out of all the time we can even remotely attempt to confirm has passed. Calling us a single species is tricky, though. Are there sub-species of people, based on their level of humanity? Let me explain: most other species of animals all act in congruent and similar ways, generally in harmony with their environments and larger framework of supporting species and roles in an ecosystem. Are humans the only species that all act differently, some even erratically and non-sensically, throughout their lives and yet still survive, procreate, etc? When it comes to humans, there seem to be many different sub-species, thousands upon thousands of combinations and kinds, some good, some not-so-good. Could we argue no two are exactly the same? Does our level of humanity matter in an evolutionary context? How would a lack of it determine our future over an abundance of it? 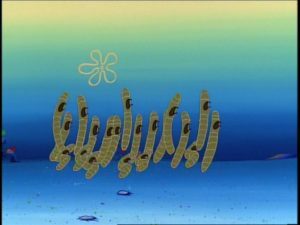 In any case, it wouldn’t be untrue to say we are nematodes. In spite of our shortcomings, we have collectively, as a complex species, adapted to and cultivated a vast variety of living conditions, times, and cultures, wherein some of us have faltered and others have thrived and survived over thousands of years. That’s pretty remarkable, given our track record for bumbling things, making poor short and long-term decision, and generally not learning much from our mistakes. We’ve made some good bumbles, too. Some of our biggest mistakes have led to our greatest achievements, from penicillin to the French fry. Most of what we discover that’s been useful, in fact, we weren’t even looking for in the first place. We might say the same about a sense of humor – no two are exactly alike. However, given enough context, there are some forms of comedy that deserve a higher level of praise than others. Much of the most profound and useful wisdom in the world is best delivered under a veil of silliness. Previous Post Coming soon: new pup!